I cleaned out the greenhouse the other day and harvested the remaining California Wonder peppers. There were rather more than I had thought. 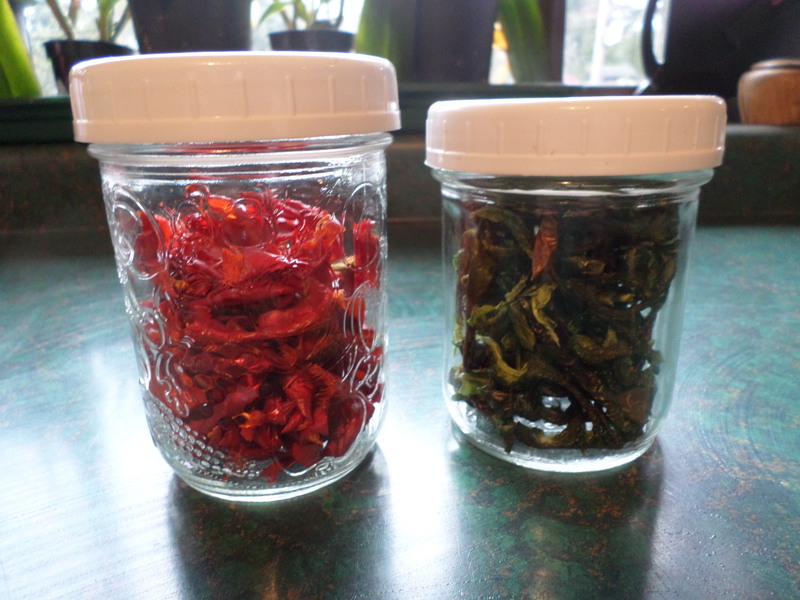 Saturday morning was rather cool and rainy, so giving cleaning up the garden a miss, I decided to preserve the peppers three different ways, as well as eating some fresh of course. 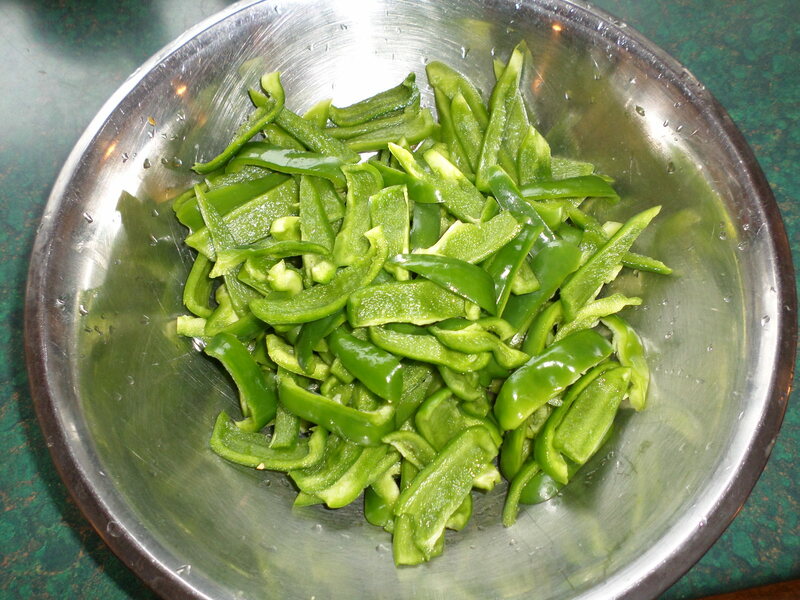 I had previously made salsa with them and with some hot peppers. Sadly, the hot peppers were finished. 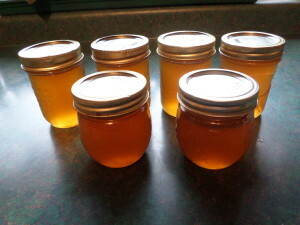 I froze some, dried some and made jelly of the rest. For more details keep reading. 4. 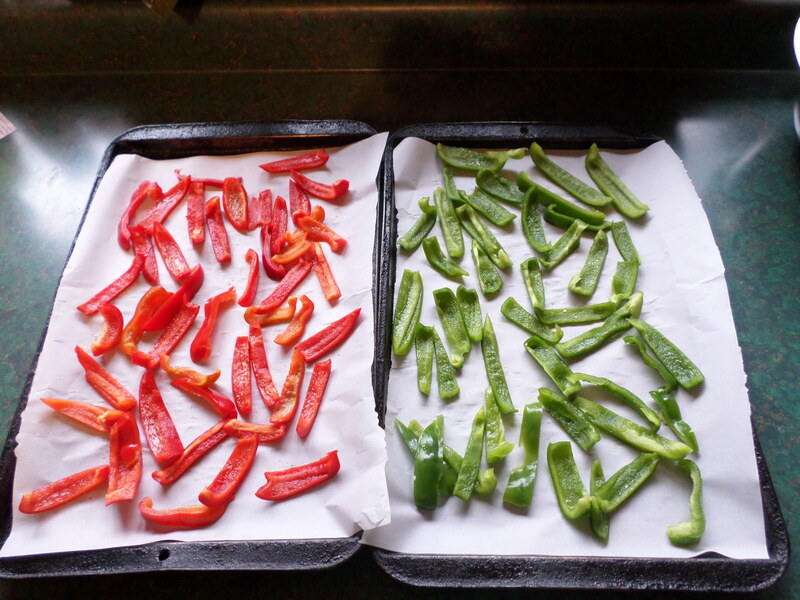 Place in a single layer on cookie sheets. Freezing them this way means that you can used just as many as you wish at a time. 6. Store in plastic bags. 1. 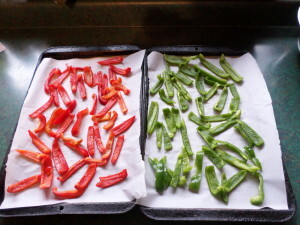 Air Dry – you can hang them or lay them out to dry (I have only done this a couple of times and didn’t really paid attention to how long it took). Probably about 3 or 4 weeks. Given the humidity in our air right now, not a good option. 2. 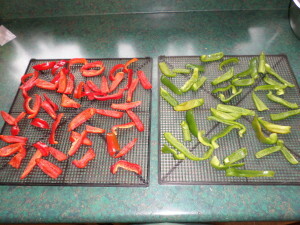 Dehydrator – Prepare as you would for freezing them and then spread in a single layer on your dehydrator tray. Mine is not a fancy one where you can adjust the temperature. I put it on high and it took about 10 hours. 3. 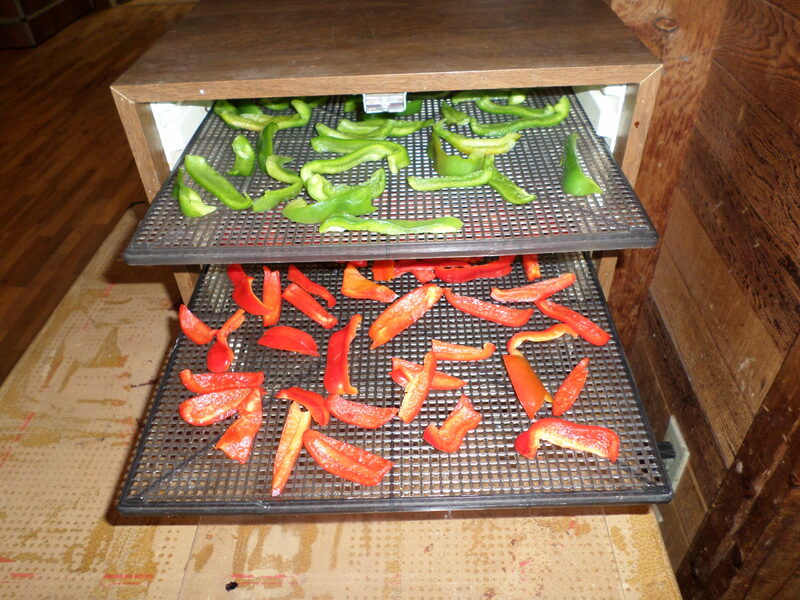 Oven – I don’t usually do this as then someone would be likely to come in the door and want to use the oven, and I have a dehydrator, so why not use it. You would set the oven temperature to about 150 °F. Depending on the thickness of the peppers it would take about 1½ – 2 hours. 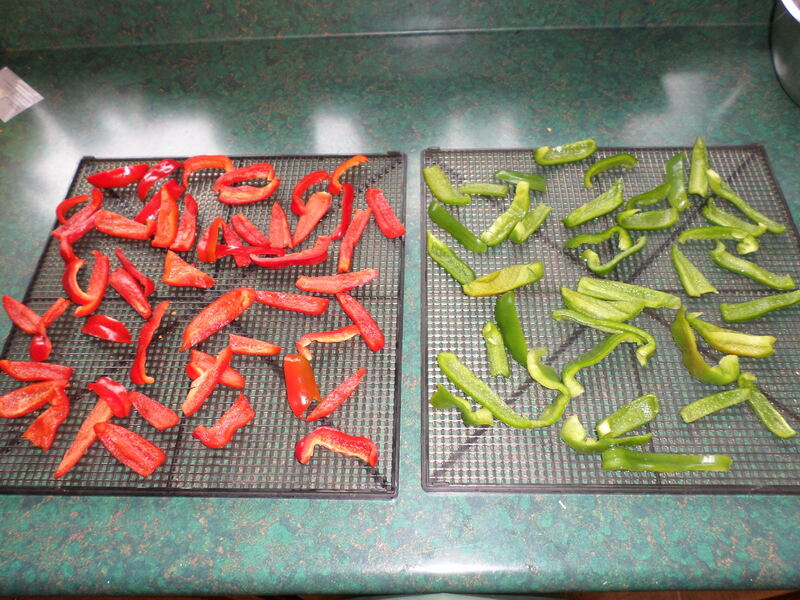 Flip them over every half hour or so, so that they dry from all sides. I used the peppers which were half way between green and red to make the pepper jelly and they turned out a lovely amber sort of color. I have a recipe that I really like from Mennonite Girls Can Cook, which I’ve used a number of times. See Links for the recipe. 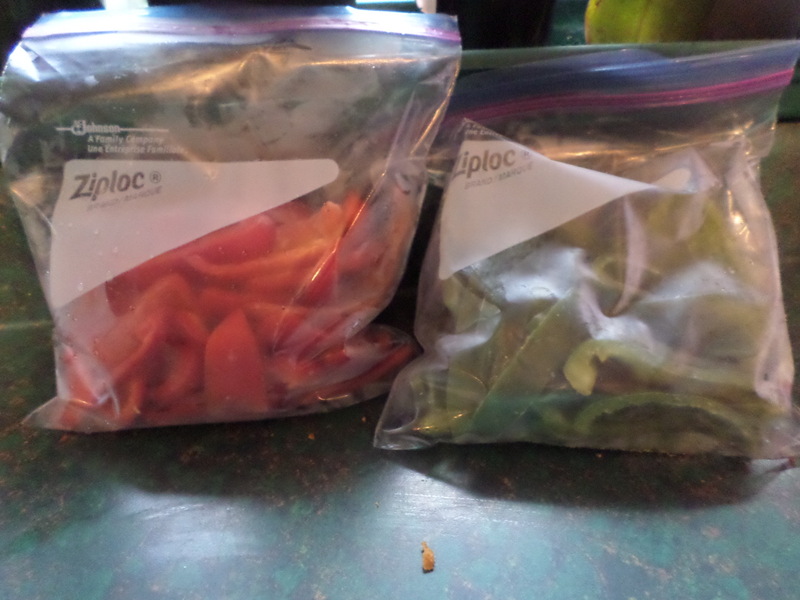 I just left out the Tabasco sauce as I don’t like things really spicy. 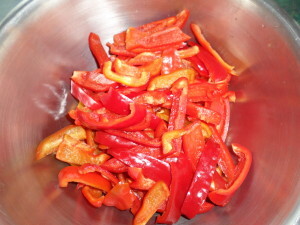 The flavour is lovely without adding the heat. The recipe has a lot of sugar, but you only use a small amount of jelly at a time. It’s delicious with cheese sandwiches or crackers and cream cheese. I’ve also used it with chicken or turkey. It’s also popular for gifts. Rather a satisfying morning’s work. 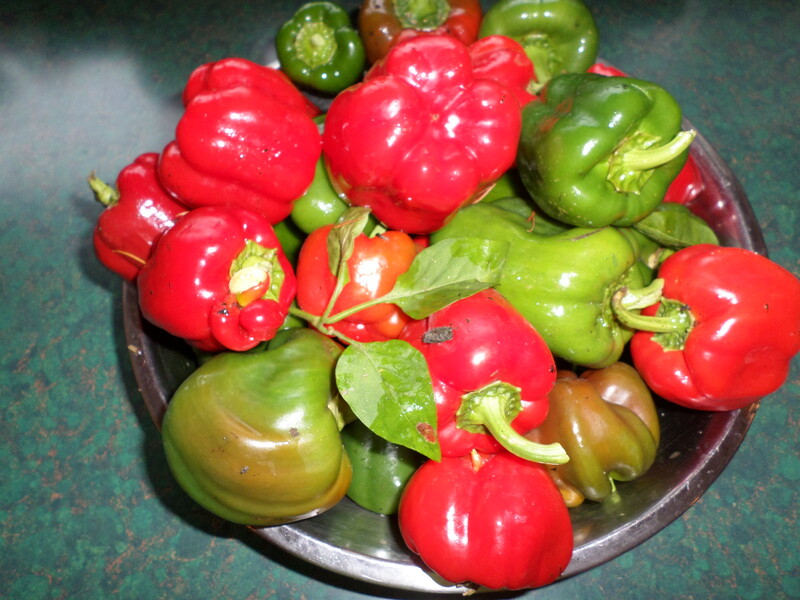 Bell peppers are an excellent source of Vitamins C, A and B6, and a very good source of folate, molybdenum, vitamin K and manganese, as well as dietary fiber. They only contain 25 calories per cup. Peppers add not just colour, and fabulous flavour to your plate but are an excellent healthy food choice. For those of you wondering, I am still going to get back to my oats, I have found a technique on the internet which may work. So stay posted for a blog about them.